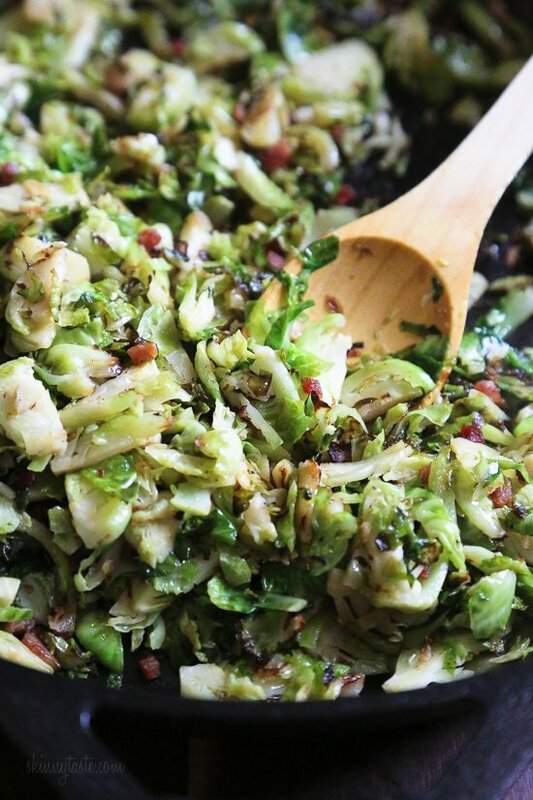 Sautéed Brussels Sprouts with Pancetta is the best Brussel sprout recipe! Lightly pan fried until crisp and slightly browned on the edges, it’s my favorite way to cook and eat them! 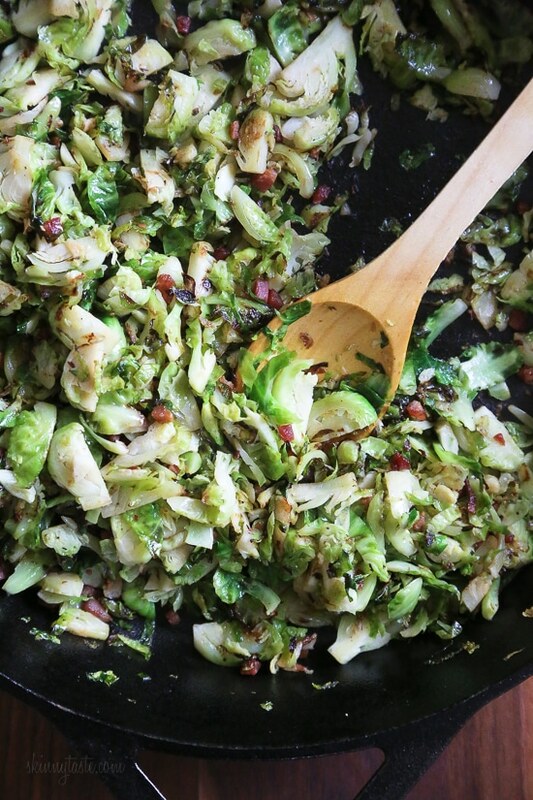 Sauteed brussels sprouts are delicious when shredded and sautéed with pancetta (or bacon), garlic and oil. If you don’t think you like Brussels sprouts, I challenge you to try these! Other Brussels sprouts recipes you might enjoy are Brussels Sprouts Gratin, Buffalo Brussels Sprouts with Crumbled Blue Cheese, and Maple Soy Glazed Roasted Brussels Sprouts and Butternut Squash with Bacon. I love when people tell me they don’t like Brussels sprouts, then quickly change their mind after tasting them prepared this way. I too once thought I didn’t like Brussels sprouts until my girlfriend Nicole turned me on to shredded them before sauteing in garlic and oil. Now I love them! You can easily prep everything to make this a day or two before if you are making this for Thanksgiving. I prefer to use a sharp knife and find this rather relaxing but it is a little time consuming. To do so, trim of the stems, discard any outer leaves that fall off and cut them in half lengthwise. Once they are halved, put the cut side down on the cutting board and slice them thin. A quicker way to do this is with a food processor fitted with the slicing attachment. Turn the food processor on, then drop the Brussels sprouts in working in batches. What do you Saute Brussels sprouts in? I use a large heavy skillet to saute, you want to make sure the skillet is hot so the edges brown, and stir often. Swap the pancetta for bacon. Swap the pancetta for turkey bacon if you don’t eat pork. Leave the meat out altogether and add shallots. For a vegetarian version similar to this, try Sauteed Brussels Sprouts with Shallots. With a large sharp knife, finely shred the brussels sprouts after thoroughly washing. In a deep heavy saute pan, sauté pancetta on medium-low heat until fat melts and pancetta becomes golden, about 5 minutes. Add olive oil and garlic and sauté until golden. Add shredded brussels sprouts, salt and pepper to taste and sauté on high heat for about 6 to 10 minutes, until tender crisp. You are making being on a diet so pleasant! 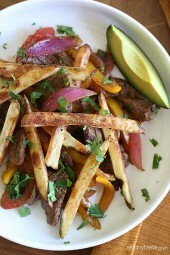 The hardest thing for me is figuring out what to make that tastes good and this recipe did not disappoint last night! Served with lamb chops and leftover potato gratin. My husband wants me to make it this way from now on. 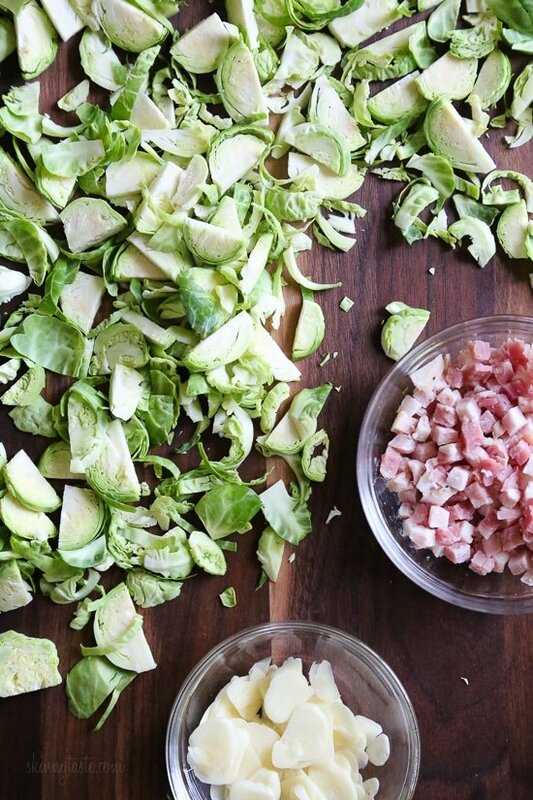 Snap when shredding the sprouts in a food processor. .
Do you drain off the grease after cooking with bacon? I loved this! I am new to brussels spouts and wanted to find something that was both simple and didn’t involve boiling them! I found pre-shredded brussels sporuts at my local grocer so it was super easy to whip up! I am hooked! These are delicious and I can’t wait to make them again. Thanksgiving 2018. Brussel sprouts in disguise! These were a hit! Will definitely be making these again. So easy! Thanks for the recipe! This was SO good! We made it over the weekend and I’ve been reheating the leftovers for the last couple days for a side dish with my lunches. Might be my new favorite way to eat Brussels Sprouts. This was delicious! I added a little red onion. So tasty! Thank you so much for this recipe. 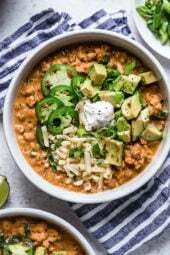 Has anyone tried this with an instant pot? How did it work out? It’s is fast enough without the instant pot. You can use the saute button to cook it if you want to use the instant pot probably. The part that takes the longest is shredding the brussels sprouts. I sliced them and that worked out well for me. If you try the instant pot, let us know how it works, please. I cook them this way, except I add some balsamic vinegar and grated Parmesan at the very end. Cut back on the salt if you’re gonna add balsamic at the end. Just made this and it was so good and easy. We will definitely be making this again!! Made this last night. Added a bit of parmesan cheese and topped with sauteed shrimp. Delish! this website is gold. Gina you’re the best. These are fabulous! I was a veggie hater the first 45 years of my life. This is my favorite way to eat brussel sprouts!! I’ve made them this way for others who aren’t sure they like brussel sprouts too and have made converts out of them!! Yum!! Are these points adjusted (if they needed to be adjusted) for the new Freestyle WW? Yes, all freestyle points are updated. This was fabulous! I didn’t have pancetta so I used 4 oz of turkey bacon. Yum! I used to hate brussel sprouts! Love them this way!! 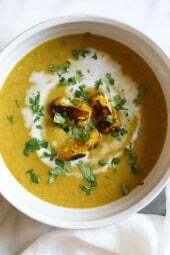 While your new recipes are excellent and inspiring, some of your initial fare that begot SkinnyTaste are wonderful. This is among them; thank you, Gina, for your assistance for all of us who want to eat healthy. I made these for Thanksgiving this year and they were a HUGE hit. Everyone wanted the recipe. 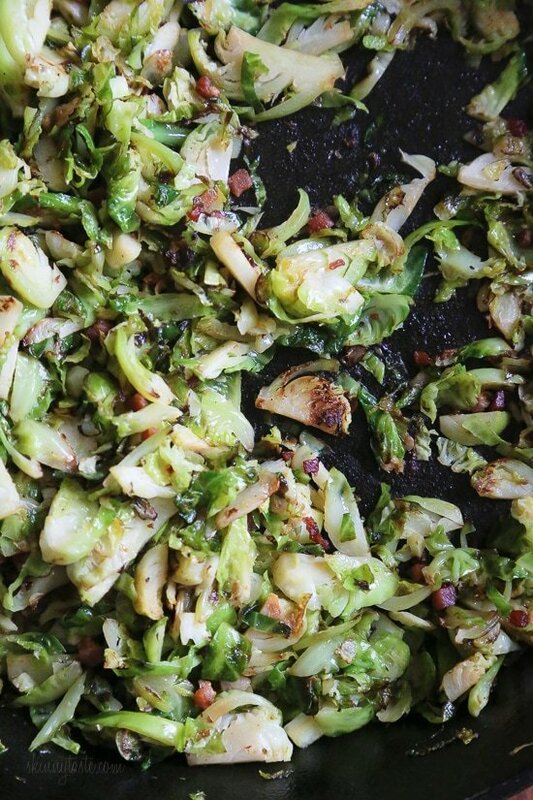 Brussels Sprouts are delicious when roasted or pan fried like this. Love them! Thanks for sharing!!! I love seeing recipes of foods I’ve been making for years. This is so good! Same, curious about bringing this to thanksgiving so would need to make in advance and potentially reheat? Just undercook them by 5 minutes so they aren’t overcooked when you reheat. You can reheat in the skillet about 3 min until heated through or if the oven is on, you can put them in there until heated. Hi Gina – is it possible to slice the brussels the night before Thanksgiving and then cook before dinner on Thanksgiving day? Or do the brussels lose their freshness? Thank you!! I realize it’s a day late and that I’m not Gina, but just in case you were still wondering– Yes!! You can slice the night before and then just sautee them not long before serving.! That’s what I did, and they still turned out *perfect* on Thanksgiving yesterday. Like, even the 10-year-old boy who was at my house loved them (after admitting that when his mother insisted he put them on his plate, he thought he was going to hate them). Hi Gina! 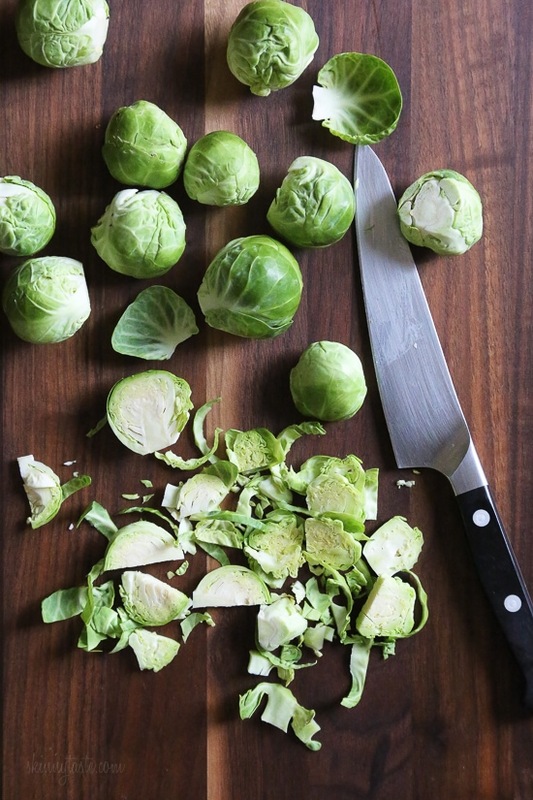 Can I slice the Brussels up the night before thanksgiving and then prepare thanksgiving day? Thank you! made this! loved it…. had original way loved it but the next time I only had bacon so I used that equally as good and threw in crush red pepper! QUESTION: In the nutrition info, when no Saturated Fat is listed does that mean it just wasn’t calculated or is it 0 grams? no, I calculate them with recipe builder. I’m planning to make this for Thanksgiving. I’m also wondering if I made this in advance- how would you suggest reheating? Microwave or put it back into a pan? If using bacon, should I drain the fat off it before adding the olive oil? Can this be made earlier in the day and heated up later – like to bring to a potluck style party? A question–it sounds like these would ideally be prepared just before you eat them. My Thanksgiving side dish might need to sit as much as an hour before we eat. Do you think they would keep, or should I do a different recipe? This looks delicious! For sure making it on my table for thanks giving! I just made these tonight…they are soooo good. I never liked them until I tried them roasted a few years ago. Now I have anew go to side dish. Thank you! Wow, this was good!!!!!!!!! It was easy!!!! If i can ever speed up my finely chopping with a large knife speed, this will be fast. Overall this was a perfect first-time recipe! I make something like this all the time. I add in shallots or onions. Want to take it one step further use it as the base for a frittata. Turns leftovers into a meal with addition of some eggs and a bit of gruyere. Love all brussel sprout recipes. You are RIGHT!! First time having brussels sprouts and this was amazing!!! I haven’t tried it, but it sounds like it could be really good! Let me know if you try it! These were the best brussel sprouts I've ever had!! Delicious!! Ps. I used thinly sliced shallot instead of garlic. Really, really good! !